The most successful way to Eliminate Stage Fright without the use of medications! Overcoming performance anxiety, or stage fright, once and for all is a liberating feeling, and has many profound benefits to performing artists from all walks of life from musicians to dancers to public speakers. The same principles apply even to athletes. I’ve seen and talked to more struggling performing artists than most people. As the world’s leading authority on using hypnosis to eliminate performance anxiety, I’ve seen thousands of people struggle using pretty much every other “so-called” relaxation method under the sun. Other methods either don’t work at all, or they work temporarily because they focus on the symptoms and ignore the real cause of stage fright. 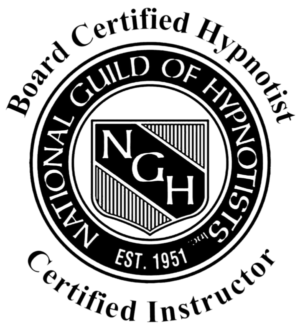 I use techniques that MOST OTHER HYPNOTISTS DO NOT USE to combat performance anxiety. With my highly effective combined advanced hypnotherapy techniques, you too could be one of the success stories that eliminates stage fright PERMANENTLY. As an accomplished musician with bachelors and masters degrees in music performance and music education, I, like you, also suffered from severe performance anxiety. Yet I went on to perform with numerous world-renown musicians such as Ray Charles, WAR, K.C. & the Sunshine Band, and Taylor Dayne. Through years of trial and error, from trying creative visualization techniques to taking beta-blockers, after nothing else worked I finally found the answer…Hypnosis. Most performers have experienced performance anxiety in some form and to various degrees. This fear may be experienced while preparing for a performance, for days or even weeks before hand, and not just while performing. It can be experienced in the present (stage fright) as apprehension (fear of what could happen) and arousal (anticipation). Performance anxiety is no different from general anxiety. Feelings of fear and apprehension are accompanied by increased and prolonged physiological arousal. Severe anxiety is where the arousal is too high for optimal performance. This arousal may be normal and temporary, or abnormal and long lasting and symptoms can be cognitive, behavioural and physiological. Research shows that the processes underlying musical performance anxiety indicate that cognitive, behavioural and physiological factors are involved. Physiological reactions to stress and anxiety include difficulty concentrating, loss of appetite, increased heart rate, and shortness of breath, dizziness, butterflies, shaking knees, shaking hands and sweaty palms. Generally the physiological symptoms are part of the fight or flight reflex. Measurements taken during studies of performance anxiety also showed raised levels of adrenaline and noradrenaline in the urine and this causes the hyper-alertness mentioned previously. This indicates activation of the nervous system and these physiological reactions interfere with performing by making it difficult to control finger actions and breathing. Cognitive symptoms of anxiety include fear of making mistakes and feelings of inadequacy and worrying about things happening. Behavioural symptoms are not being able to do things, which normally happen naturally. Because the unconscious mind is far more powerful than the conscious mind you would have felt like a battle was raging on inside of you. The unconscious mind is responsible for generating the feelings of anxiety, that out of control feeling. The important thing to realise is that, because performance anxiety resides in our unconscious, you can’t change your unconscious mind using other techniques or drugs – you need a different approach.When you change the reasons for performance anxiety in your inner mind you will automatically walk, talk, think, and live like the performer you want so much to be, and who you really are! CALL 443-494-9766 FOR YOUR FREE SCREENING!